ATLANTA, April 24, 2003 – The Rechargeable Battery Recycling Corporation (RBRC), a non-profit organization dedicated to recycling rechargeable batteries, announced today the rollout of RBRC’s battery recycling program in Staples stores throughout the U.S..
ATLANTA, July 24, 2003 – The Rechargeable Battery Recycling Corporation (RBRC), a nonprofit public service organization dedicated to recycling rechargeable batteries, today announced that they were awarded Popular Science’s “ad of the month” in its monthly newsletter “Navigate.” The ad ran in the magazine’s July 2003 issue. ATLANTA, July 15, 2003 – Being green is in and it’s showing in record numbers. 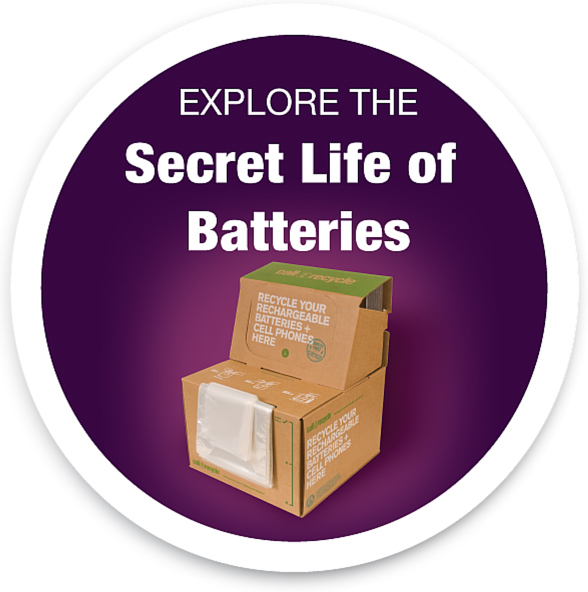 The Rechargeable Battery Recycling Corporation (RBRC), a nonprofit, public service organization dedicated to recycling rechargeable batteries, today announced its collection data for the first six months of 2003, reporting that they collected two million pounds of rechargeable batteries – a 30 percent increase for the same time period for 2002.